Northeast Vietnam is home to numerous, amazing holiday destinations and tourist attractions. However, each of these exquisite locations has it’s own distinguishing features which set it apart from the rest. 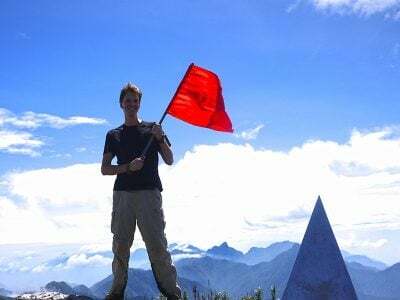 This 4-day tour takes you through a magnetic landscape rife with and bristling with adventure, surrounded by the mountainous terrain and wild vegetation made for nature and adventure lovers. 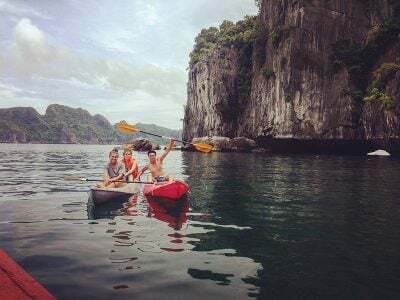 The tour takes you through the sights of the illustrious Ha Long Bay, popular for hiking, rock-climbing, kayaking and scuba diving and its abundant lakes. 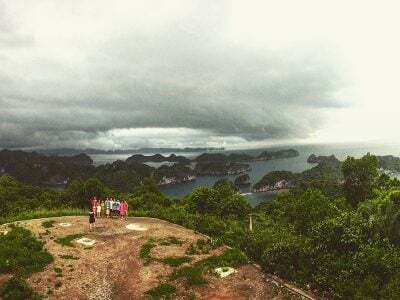 It is located in the Quang Ninh province of Northeast Vietnam, comprising numerous towering islands of limestone topped by a thick rainforest. The Ha Long Bay (meaning descending dragon) got its name from a popular local legend – a tale of magic, benevolent gods and jewel-spitting dragons. A popular Vietnamese poet once described the Ha Long Bay as a “rock wonder in the sky”, it is most definitely a rousing spectacle. 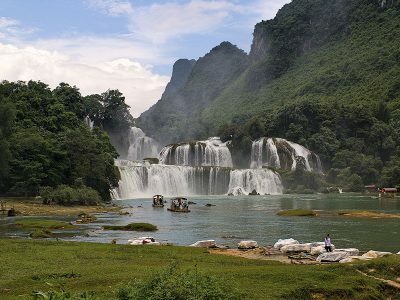 The Cat Ba and the Cuc Phuong National parks feature prominently in this exciting tour. The Cat Ba National park covers most part of the Cat Ba Island. It houses the White Headed Langur (a critically endangered primate) and boasts of numerous hilly formations with alternating valleys. The Cuc Phuong National park is located in the Nho Quang District of Ninh Binh. It is Vietnam’s first national park and its largest nature reserve. Its lush vegetation, valleys and abundant karst mountains are inhabited by a wonderful array of plants and animals. The tour begins early in the morning. You will be picked at your hotel in Hanoi, driven to Dinh Vu Harbour to board a boat and enjoy a fast-paced boat ride of about 45 mins to Cat Ba National Park. 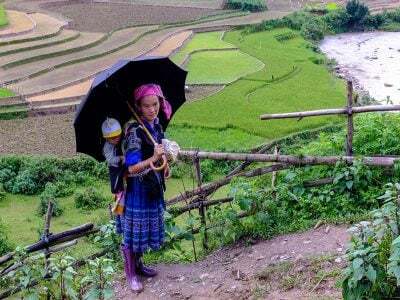 You will enjoy lunch in Cat Ba Town, after which you will embark on a fairly cumbersome trek to Viet Hai Villagẹ from the Cat Ba National Park. You can take in the beautiful scenery of the National Park, encountering some of the many species of plants and animals native to the Park, among which is the critically endangered White Headed Langur. Viet Hai Village is where you will have dinner and rest for the night (in a bungalow),basking in the immaculate natural landscape of the small village, canopied by the high mountains of the Cat Ba National Park. The tour continues after an early breakfast with another slightly cumbersome trek to the top of Marine Hill. From here, you enjoy an extensive view of Ha Long Bay. If you are with your camera, you may take a few snapshots for your personal collection and later recollection. You will return to Viet Hai afterwards to relax and if you’re feeling adventurous, you may try a fish massage (involves a fish pedicure where you dip your feet in a tub containing small fishes sometimes referred to as doctor fish, it leaves your skin looking and feeling newer and fresher). After relaxing for a bit, you will take a biking trail to Viet Hai Harbour to board a boat to the pleasant Lan Ha Bay, having lunch on board. You will explore the Hang Luon caves, kayaking around its structures. Afterwards, you may explore some of the beautiful, untamed beaches of the Bay, swimming and taking in the marvel of its emarald waters. 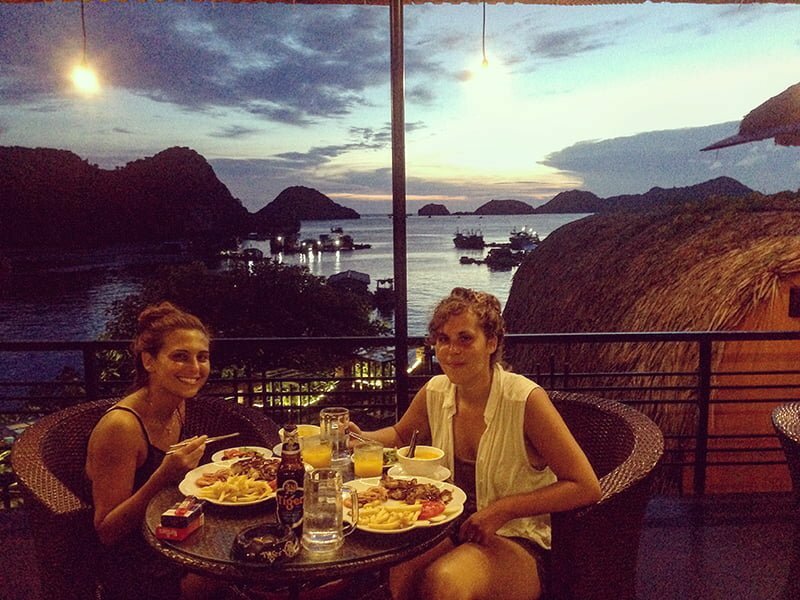 You will be transported back to Cat Ba Town, where you will be lodged in a bungalow, enjoy dinner and stay overnight. Early breakfast followed by an overland drive to Ninh Binh Province. Some of the exciting sights in Ninh Binh Province include numerous caves and temples. You will have lunch at a street restaurant and go on a rowing trip at Tam Coc, (referred to as Ha Long Bay on Land). You can take 1 hour to cycle through the small villages, rivers and mountainsides, taking in the grand experience of the great outdoors. 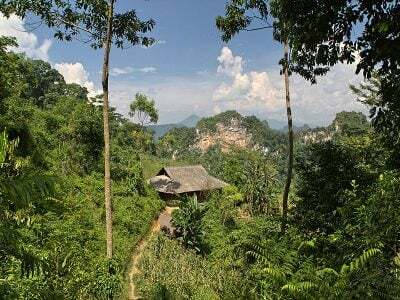 You will then be transported to the Cuc Phuong National Park, where you’ll be lodged in the national park’s guest house. You will have dinner and rest for the day. You have breakfast and take a half hour drive to the centre of the National Park. 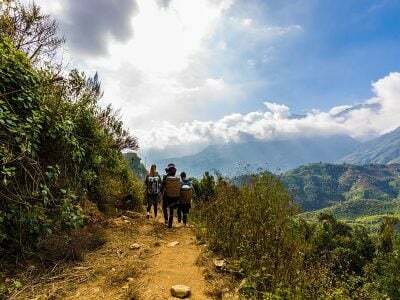 You take a 3-hour leisurely walk around, enjoying the beautiful scenery, lush environment and a prehistoric cave beside one of the many limestone mountains. You have lunch at the National Park’s restaurant and proceed to the conservation centres to see and learn about some animal species that are only native to Vietnam. 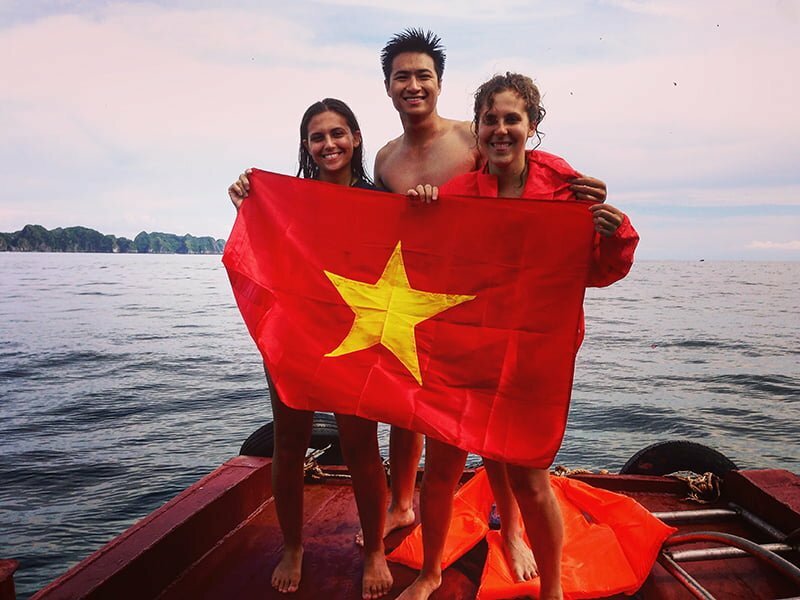 You will then be conveyed back to Hanoi, bringing an end to the fun and action-packed tour. volveríamos a repetir sin lugar a dudas! nuestro guía Huy fue maravilloso y el conductor otra adorable persona. Huy es un terrible guía joven y divertido, atento a todas tus necesidades y te lleva a los sitios mas bonitos del tour. Son lugares que no frecuenta mucho el turismo y eso le da un punto a favor, porque además son iguales o diría mas bonitos que los típicos. el trekking por la isla es maravilloso , la jungla te cubre hasta arriba y solo eres una hormiguita rodeada de naturaleza por todas partes. Duermes en unos bungalows absolutamente idílicos a los pies de un valle. Recorres en barco la bahía y te mojas con el kayack atravesando las casitas de los pescadores. Y duermes , en nuestra opinión, en el mejor sitio, en lo alto de un acantilado con vistas al atardecer mas bonito de tu vida. 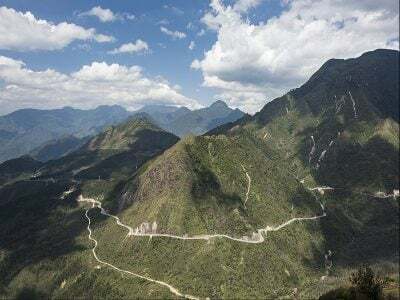 Ninh bim es también sin duda una pasada, en la silenciosa barquita , en el río te cubren a los lados majestuosas montañas llenas de naturaleza que merece sin duda la pena ver. y por ultimo el parque de Cuc phong es una experiencia en el corazón de un parque precioso. La ruta aquí es mas pequeña , pero el guía te va explicando un montón de curiosidades de las plantas, animales..
We had a personalized 4-day, 3-night trip to Cat Ba Island, Lan Ha Bay, Van Long Natural Area and Cuc Phuong National Park. We are a party of 4, all in our early 60s, looking to explore the natural environment of this part of the world. Our trip was fun and memorable. Two of the three nights we stayed in guest houses in national parks, which we loved. Although the weather was unseasonably chilly, we still went all of the places we wanted to go, and saw fantastic natural beauty. The TTG arranged for a great park ranger for our visit to Cuc Phuong, who knew all of the birds and quadrupled the bird list we’d been keeping in Vietnam. We highly recommend TTGT.